The new Craig & Rose showroom at Westbourne Grove in Notting Hill opens its doors to the public for the first time on 21st January 2019. In store you will find the full 1829 Vintage Colour Collection - a curated palette of vintage colours from the Craig & Rose archive, and a wall of colour, where budding decorators and interior designers can see how the colours would look in situ and collect samples. The store also stocks the Artisan Effects Range, from the unique Copper Patina and Rust Effect paints to the on-trend Concrete Effect paint and Glitter Glazes. The range also contains a selection of spray paints such as magnetic chalkboard paint and marble effect. 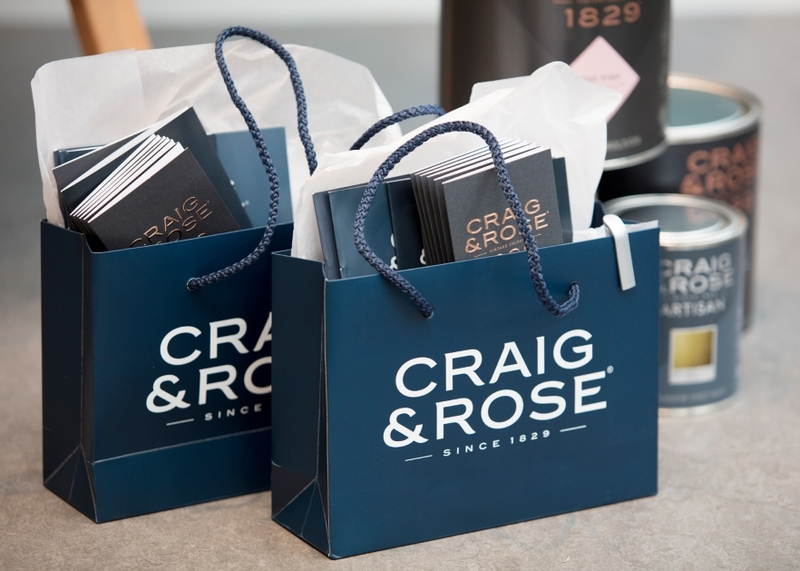 The Notting Hill showroom is the third exclusive Craig & Rose showroom to open within the UK, and also features the Craig & Rose Durable range. Craft the look you want in your home with this bespoke range of 480 mixable paint colours, available in 5 high performance paint finishes for use in your home or garden. Can’t find the exact shade that you want? Use our in-store colour matching service, or even create and name your own custom-made shade. For expert advice on your own design project, customers can also find out more in store about a bespoke colour consultancy service. Come along to see us in store from 21st January 2019.